the support of the American people. Active from 2010-2014 this Program is managed by the Institute of International Education (IIE) in partnership with a consortium of Egyptian private universities and local organizations. 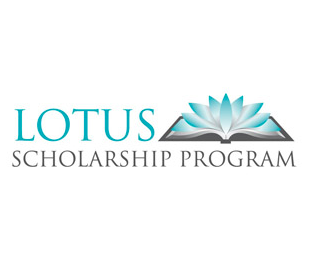 In 2014, the LOTUS Scholarship Program became part of the U.S.-Egypt Higher Education Initiative (HEI), a U.S. Government investment in Egypt’s future that provides educational opportunities for high-achieving Egyptians to learn skills that will better meet the needs of the 21st century economy. Student in third year secondary at an Egyptian public school, experimental school or Azhari school. Minimum score of 85% on second year Thanaweya Amma exam, and minimum of 85% cumulative Thanaweya Amma score for both second and third years for old Thanaweya Amaa, and Minimum score of 85% on Third secondary year Thanaweya Amma exam for new Thanaweya Amma. Active involvement in school or university, or community activities including, but not limited to: student council, clubs, sports, community service, etc. Highly competitive applicants will be serving in leadership roles in these activities. Eligible students should complete an application form in Arabic according to the requirements and guidelines in the application packet.